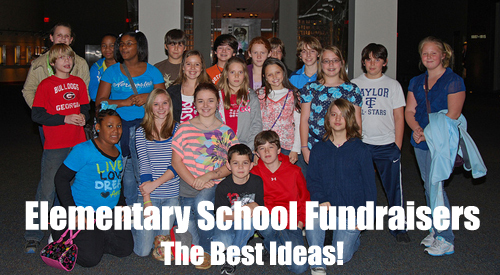 On this page you're going to find the best Elementary School Fundraisers that will boost your fundraising campaigns! So you may ask, are these Primary School Fundraising Ideas that work? But whether they will work for you, will totally depend on how well you organize them, and on the work and motivation you put into them! So make sure you read all the advice given on the different fundraisers, to get the most out of them and to have a truly successful fundraiser. Elementary Schools, also known as Grammar and Primary Schools, will be successful with their fundraising generally through ideas that their pupils will be passionate about. The more excited and motivated you can get your kids, the more successful your campaign will be. So always lean towards ideas that have this advantage. Fundraising products and items have always been successful and popular for schools. Obviously one of your main advantages is that you have a huge sales team available... your students. If you do use a product fundraiser, make sure that you have a sales incentive program with great prizes to motivate the kids. Smencils - Scented Pencils recycled form newspaper. I'd suggest you grab this FREE fundraising product guide to see what products are currently popular and profitable. A really great way of running a free product fundraiser is through GA's online fundraising stores. Definitely worth checking out! This is actually my NUMBER ONE most recommended fundraising method for ALL Schools! It provides a sustainable and continuous fundraiser that also helps raise awareness for your school. You should be using Apparel Fundraising in one way or another! Start by setting up a FREE online Apparel Store through SSA Stores and then grow your campaign to offline sales. SSA Stores provides a great discount for bulk ordering to help with your direct apparel sales. But please do make sure you read the whole Online Apparel Fundraising page to get the most out of this BRILLIANT fundraising method! There are many ways of raising funds through donations and they are definitely part of the best elementary school fundraisers! Through your website or through a Crowdfunding site (see the next method), just make sure that your donation button or link is clearly visible and that you are driving traffic to it. DoJiggy has a brilliant Donation Program that you should look into. Or a simple PayPal button can work as well, but it has its limitations. Crowdfunding websites have made online fundraising through donations super simple to do, and it's a fundraiser that I often recommend. You simply setup an (AWESOME) donation page on a Crowdfunding Website, I recommend this excellent site, which requests donations from people for your fundraising campaign. And then you promote that awesome page like crazy through Social Media networks and other promotional mediums. It's one of the Cool Elementary School Fundraisers that is hassle free as you don't need to sell products! Read all three Online Donation Pages to ensure you have a hugely successful Crowdfunding Fundraiser! A really cool donations fundraiser for your kids to take part in is a Scratch Card fundraiser. It's a great way of getting donations and rewarding your donors at the same time. With a big fundraising team (your primary school kids), you can make this an absolutely huge fundraiser! And of course you can use Donation Boxes to acquire donations as well. 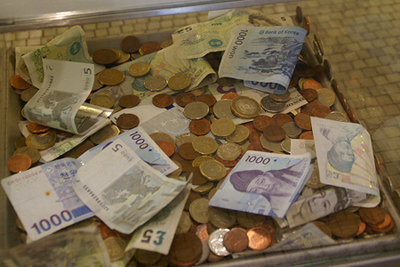 So read through the Donation Box page to find out the best 'Box' methods! Of course, if your elementary school is big enough, you can look to develop some major donors. I'd suggest you read the Donors section of the Charity Fundraising Ideas to learn more about this! What would a fundraising campaign be without an event right?!? But what events are right for your Elementary School Fundraisers? Unfortunately only you can answer that. It will all depend on what size your school is, how big your fundraising committee is, how big your community is, what your supporter base is like, and what type of events your potential supporters/attendees enjoy, etc. Participant Pledge style events like Walk-a-thons have huge fundraising potential, as all your participants will be individually Crowdfunding for you. Use DoJiggy to setup your Pledge registrations and donations! Sports events are great options as it is relatively easy to find participants, as long as the sport is popular in your community. A great sport fundraising event option is a Golf Day. A large portion of your funds raised will come from the add-on fundraisers that you include in your event. So look for events that have lots of additional fundraising opportunities! So what fundraising events could you use? These two fundraising ideas will always be a part of the most recommended Elementary School Fundraisers. In fact, they are for almost any cause! Both ideas will fit perfectly into almost any fundraising event and have the potential of raising huge funds! They can also however be used to fundraise completely on their own. Then they are also capable of running completely online or in conjunction with an offline campaign. How's that for two flexible Elementary School Fundraisers! I wish you all the best of luck with your Fundraising!! !